Have you ever come across that one recipe that is more than you ever dreamed of? It never disappoints, always turns out well, and tastes like heaven. My friends, I have that recipe for you today. 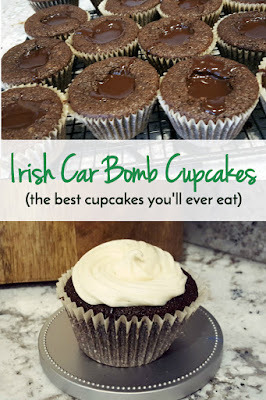 Let me introduce my favorite cupcakes in the entire world: Irish Car Bomb cupcakes. For those of you who might not be familiar with it, an Irish Car Bomb is a drink that combines Guinness beer, whiskey, and Bailey's Irish Cream. 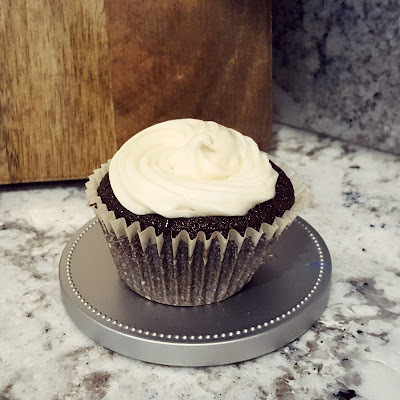 These cupcakes take each drink and turn it into a part of the cupcake: Guinness chocolate cake, whiskey chocolate filling, and Irish Cream frosting. 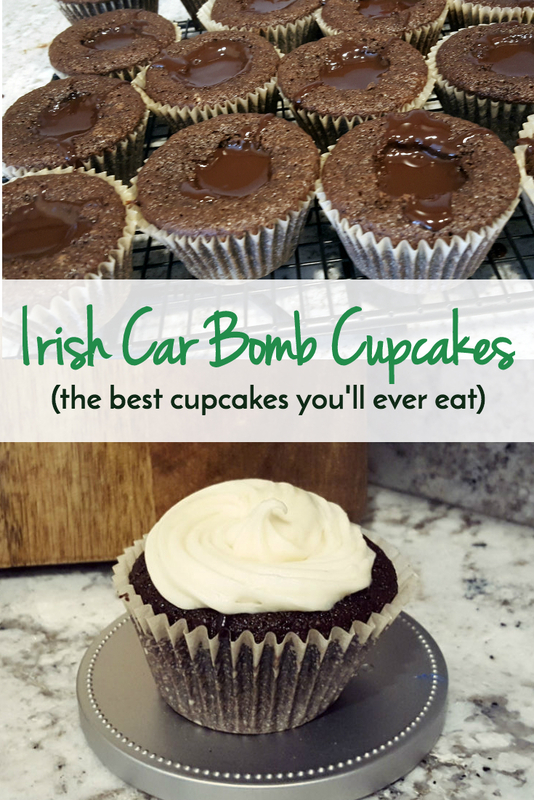 These started as my go-to St. Patrick's Day dessert, but have become our favorite all-occasion treat. Let me preface all this by saying that these cupcakes are an enormous amount of work. They take me ALL DAY. But never has a day been better spent. 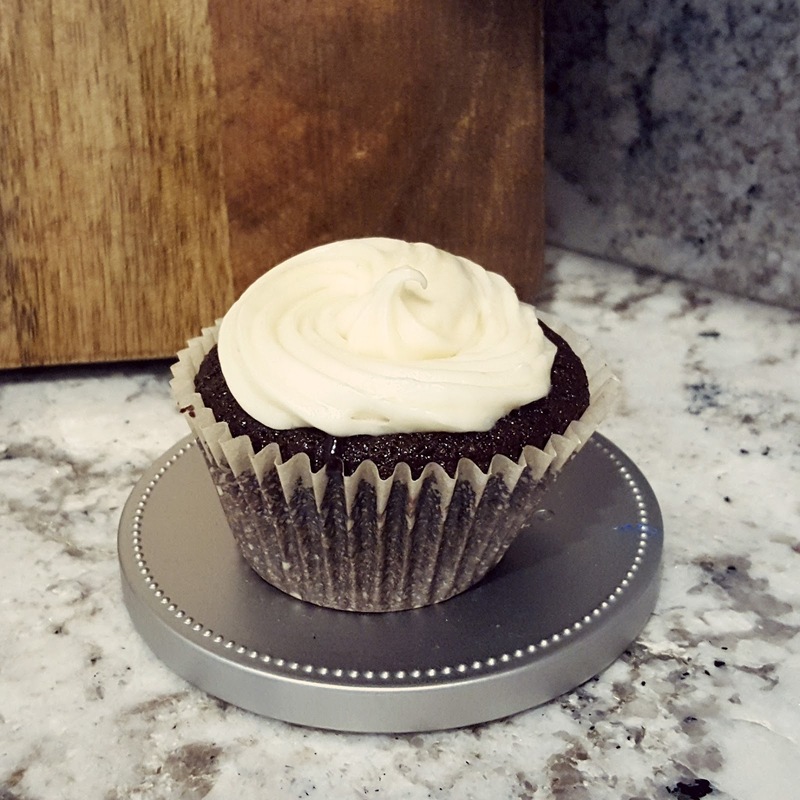 The moment you taste your finished product, you will never be able to go back to a regular cupcake. Let me also say that while alcohol does cook out, the frosting is not cooked so these are not suitable for children. Please share them only with your adult friends. 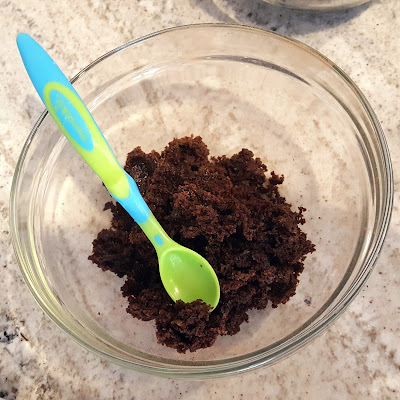 I found this recipe on See Dani Bake. and made only a few tweaks. The only difference for me was slightly increasing the liquid and sugar, plus decreasing the baking soda for high altitude. I've noted my high altitude tweaks below. 4. Whisk the flour, sugar, baking soda, and 3/4 teaspoon salt together in large bowl. 5. Using a stand mixer, beat eggs and then add sour cream in another large bowl and mix well. 6. 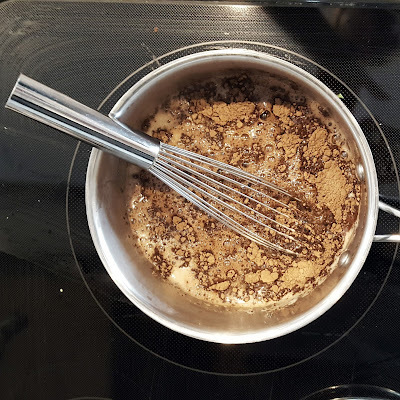 Add Guinness-chocolate mixture to egg mixture and mix in mixer to combine--don't over-mix. 7. Add flour mixture and beat briefly on slow speed. Using rubber spatula, fold batter until completely combined. 8. Divide batter among cupcake liners, filling them 2/3 to 3/4 of the way (I have a fabulous cupcake scoop from Pampered Chef similar to this one). 9. Bake cake until toothpick inserted into center comes out clean, about 17 minutes. Cool cupcakes on a rack completely before coring for filling. 1. Heat the cream until simmering and then add in the chocolate chips and dark chocolate. Stir rapidly until smooth while on the heat. 2. Add the butter, whiskey, and vanilla. Stir until combined. 3. 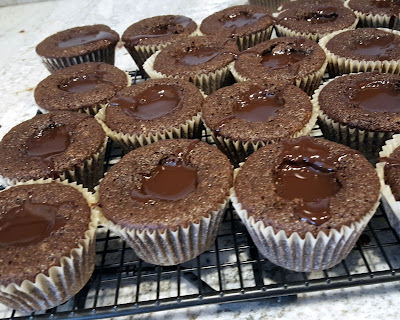 Take the ganache off the heat and let it cool until thick but still soft enough to be piped (I put mine in the fridge, but make sure to stir it every 10 minutes). 1. In the bowl of a stand mixer with a paddle attachment mix the room temperature cream cheese and butter on low to medium low speed until well incorporated. 2. Slowly add powdered sugar and beat until light and fluffy on medium speed. 3. Drizzle in the Bailey’s, depending on how prominent you want the Irish cream flavoring to be. Mix until completely incorporated. 4. 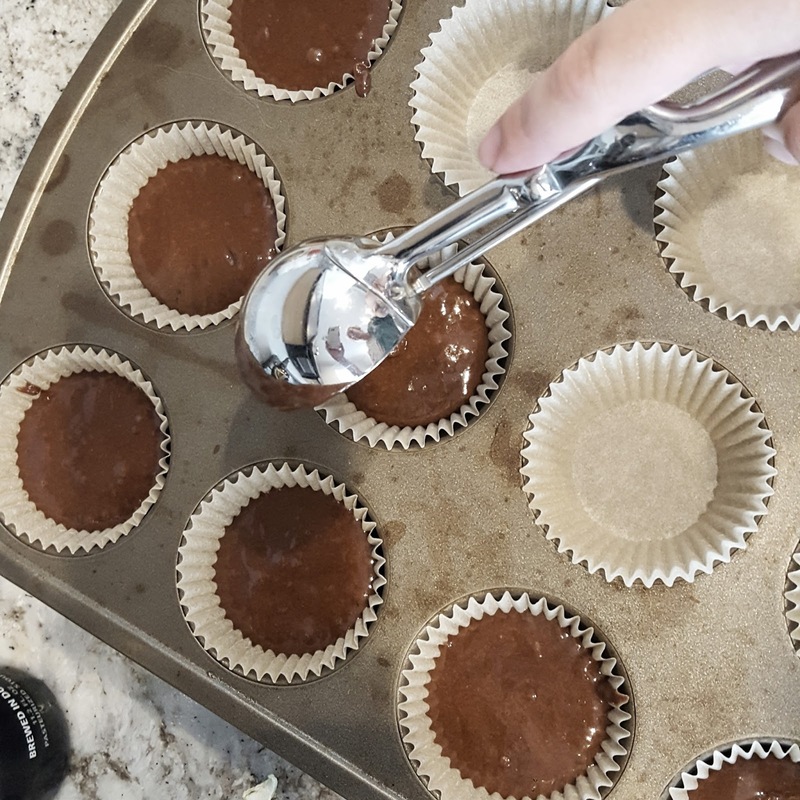 Use a piping bag with tip of your choice and frost the cupcakes. 1. Follow the directions. FOR REAL you guys- I like a shortcut as much as anyone, but that bit about whisking the flour and hand stirring the batter is there for a reason. You will be much happier with the result if you take the time to do it right. 2. You might be tempted to do something productive while your cupcakes bake, like clean your house or pay bills. Don't. This is your golden hour- eat as much cupcake batter as humanly possible and shop on Amazon to your heart's content. (I bought these shoes today during my 17 minutes.) Trust me on this one, you'll thank me. 3. Call all your friends. This recipe makes an incredibly large number of cupcakes and while you will want to eat every. last. one. you probably shouldn't. I've been there. And after that three-steps-to-success formula, you want some solid appreciation if you can't devour them all yourself. Your friends will all die of happiness as they bit into these, so don't deprive them of this opportunity. Next time you make these, save one for me!! I will! I had a few leftover at the retreat yesterday but they got snatched up really quickly.